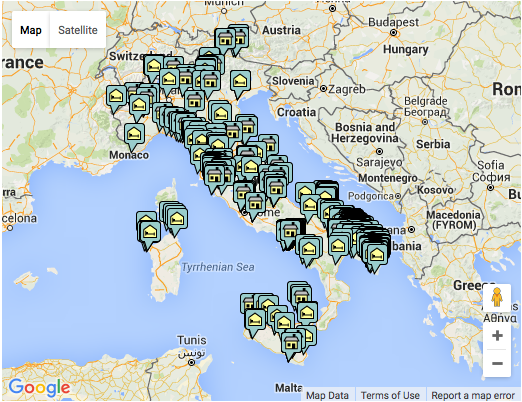 From Italian’s capital you cycle to the most southern part of the region Latium. The unique landscape created by the former marshlands “Pontine Marshes”, architecture, convents, the Circeo National Park with its marvellous beaches are the ingredients for a wonderful bicycle tour in Lazio. The cycling route doesn’t have any particular difficulties: You cycle along cycling paths and flat side roads with few short and easy ascents. 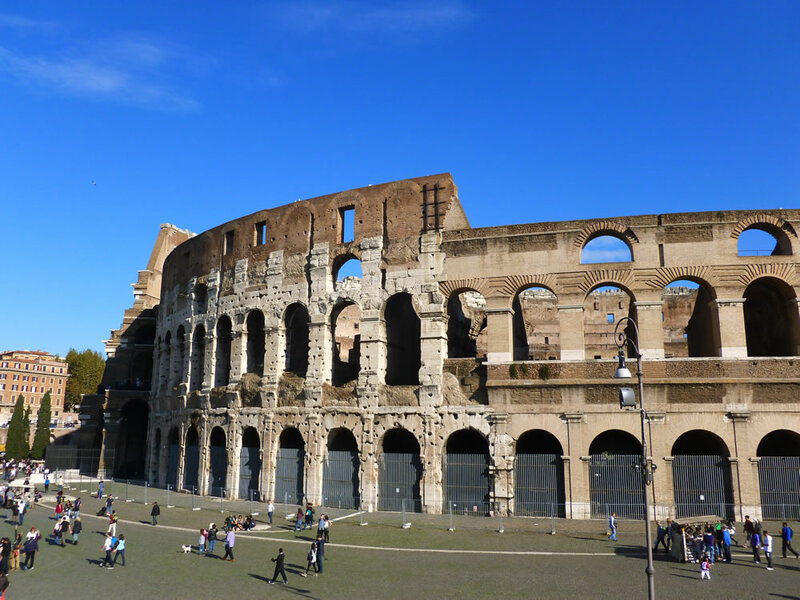 Individual arrival to your first hotel next to Colisseum and Metro stop. Briefing, handover of your tour documents and rental bikes (if booked). 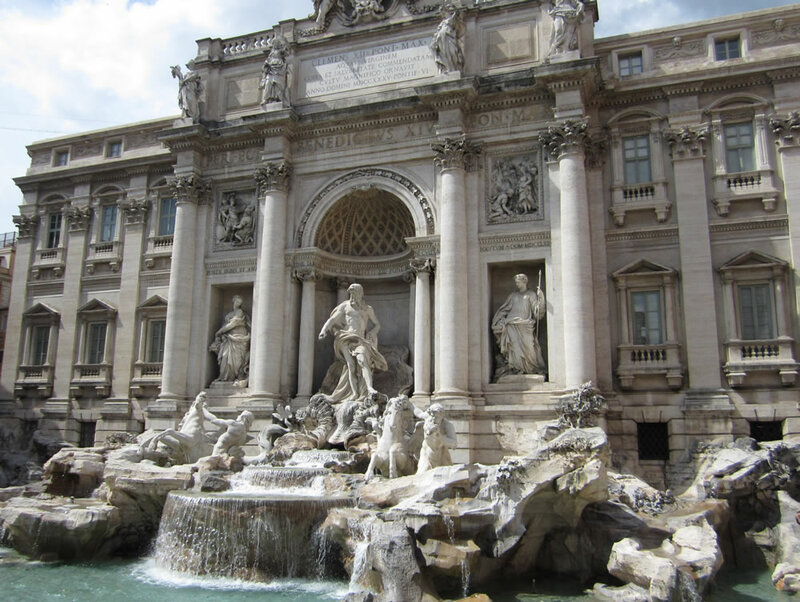 The Eternal City invites you to a first visit. 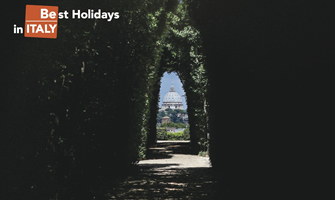 Discover Rome’s vitality and the most beautiful corners of Italian’s capital! Free dinner and overnight. The first stage leads to the Nature Park “Parco dell’Appia Antica” awaiting you with its beautiful panoramic views in the south eastern part of Rome. 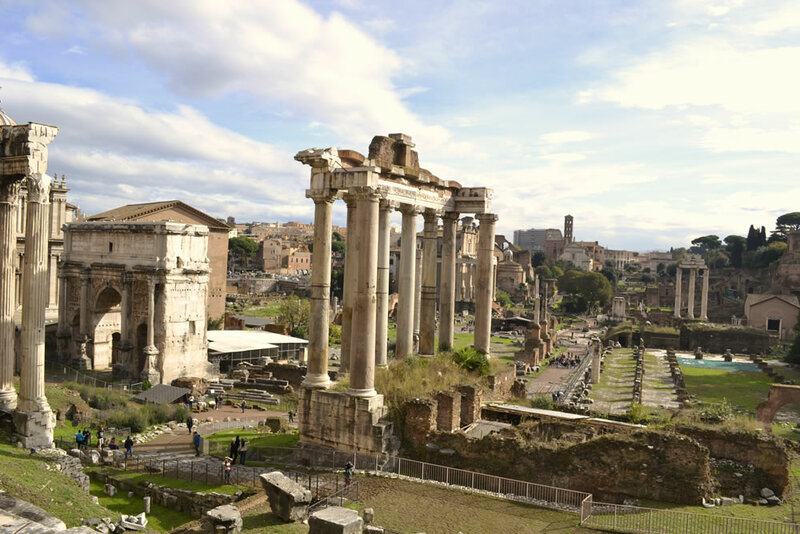 To reach this nature reserve – of naturally scientific, archeologically and historically importance – you follow the cycling path along Circus Maximus, the Colosseum and the Caracalla thermal baths. Taken aback by its beauty and uniqueness you will cycle past “Parco degli Acquedotti” (Aqueduct Park) and “Parco della Caffarella”. After the breakfast transfer by train from Rome to Cisterna di Latina (approx. 30 minutes). Arriving in the country side let your eyes wander over the fields and in the distance over the mountains and places Cori, Norma and Sermoneta. The completely flat road tour leads first to the “Giardini di Ninfa“ (Gardens of Ninfa), a true “Garden of Eden“, which arose on the relics of the Medieval city Ninfa, and then further to the convent “Abbazia di Valvisciolo“, an important example for a Cistercian abbey. Through the Pontine Marshes at the foot of the mounts Lepini to “Borgo Faiti”, a so called “Borgo di Bonifica“ – a “drained village”. If you want to know the history of this drainage we suggest visiting the museum “Museo Piana delle Orme“. Today you arrive to Latina. 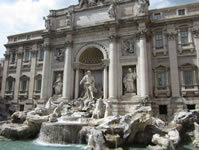 The foundation of the town Littoria, how Latina was originally called, dates back to fascism. 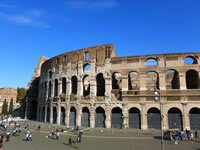 Latina appears unique as it differs completely from the typically Italian cities full of history. On the cycling path you leave the city in direction of the sea. Stopover in “Borgo di Villa Fogliano“, seated on the shores of the homonymous lake, with high naturally scientific, archeologically and historically importance. Salt lakes and the so-called “Macchia Mediterranea“ on one side and marvellous beaches on the other side accompany you to Sabaudia, which belongs to Circeo National Park. 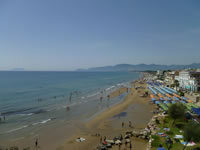 We suggest visiting the visitors’ centre of Circeo National Park. From here you can under-take an excursion to the forest “Selva di Circe“, which shows a lot of peculiarities of the antique coastal forest, how it has been before the drainage. On the coastal road you cycle from Sabaudia – accompanied by a stunning view over the Circeo National Park – to “San Felice al Circeo”, from where you will admire a breath-taking panoramic view. 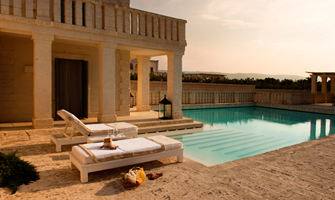 Eventually you reach Terracina, where you will have enough time to have a refreshing bath or to visit the temple “Tempio di Giove Anxur“. 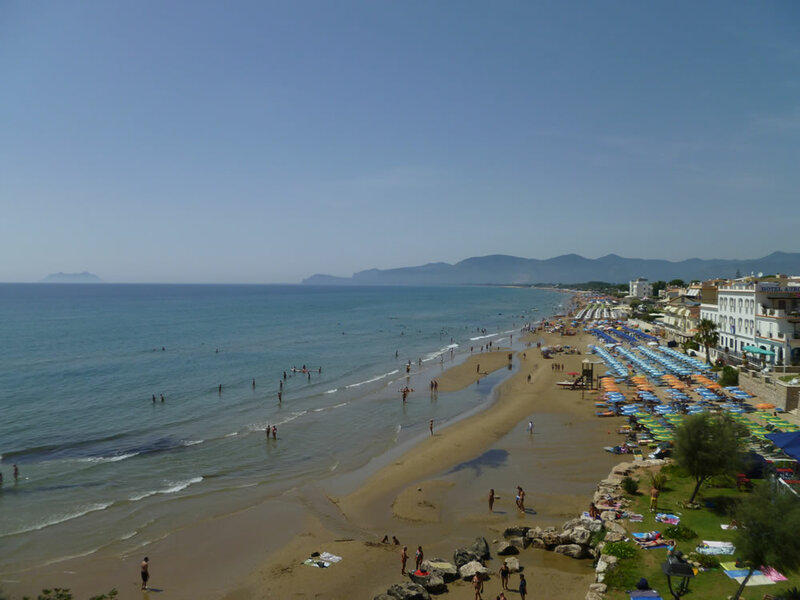 Today the ride takes place in the surroundings of Terracina. After leaving behind us the beautiful city we head now to the hinterland. Crossing the country will reach the beautiful “Abbey of Fossanova”. The abbey, built between 1163 and 1208, is a perfect example of early Italian Gothic style, and more precisely the form of a visible transition from Romanesque to Gothic. On the way back along river and canal we can enjoy the view of the Latium countryside. Return of your rental bikes. Short transfer to the pier to get the boat direction Ponza; accommodation in the selected hotel. Now it´s time to go and discover the island. Possibility to make trekking along paths that reach areas of historical importance as the Roman necropolis or rent a small boat to admire the beautiful bays and beaches or just stroll through the narrow streets of Ponza, drinking a glass of wine white. Back to take the boat direction Formia. From Formia train station you can reach Rome or Naples by train in about an hour. Arrival every Saturday from April, 2nd 2016 (first available arrival date) until June, 25th 2016 and from September, 3rd 2016 to October, 29th 2016 (last available arrival date).